This pictorial history traces the evolution of Naval Aviation from its humble beginnings to its current role as an essential element of U.S. naval warfare. This is not intended to be an in-depth treatment. 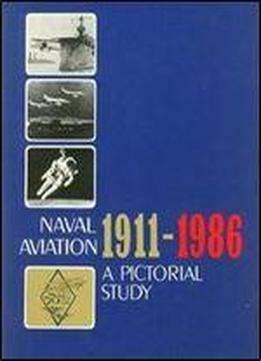 Rather, it is a short visual monograph designed to capture the essence of Naval Aviation and to convey to the reader something of the imagination, energy and commitment of those who have made the dream a reality. Appreciation is extended to the helpful personnel at the Naval Historical Center Photo Section, Naval Audiovisual Center Still Media Division (Production Control) and the Defense Audiovisual Agency for their assistance in the photographic research for this history. Unless otherwise noted, the photographs used in this publication are of Navy Department origin. Individual credits or sources are given when known.